GOT7 is gearing up for a show with its upcoming album. According to its agency JYP Entertainment on Monday, GOT7 will showcase the new single “Lullaby” from its upcoming album “Present: YOU” for the first time at the show, as well as its old tracks. 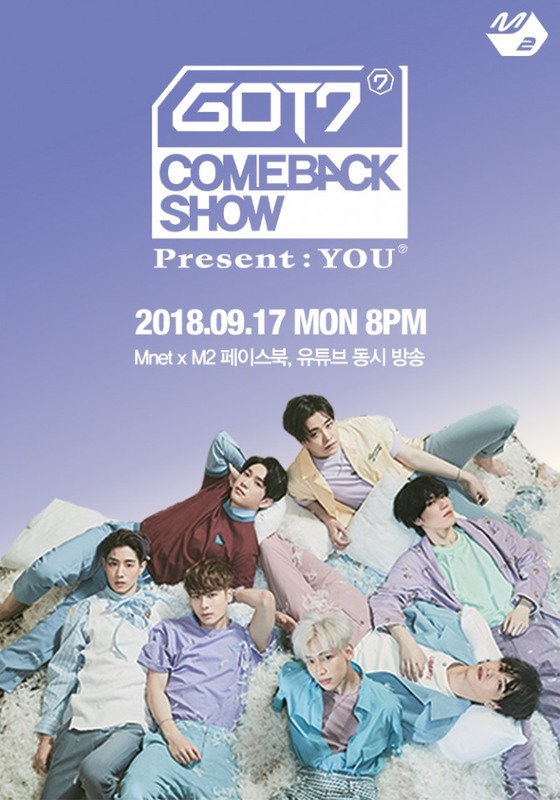 The show will air on Mnet on Sept. 17 at 8 p.m. The event also includes a screening of a special video created for the act’s return. The album’s lead track, “Lullaby,” will be released in four languages: Korean, English, Chinese and Spanish. The album also features solo tracks by every member of the group, with lyrics and music by all the band members. The group recently wrapped up a world arena tour that brought it to 17 cities across the globe.